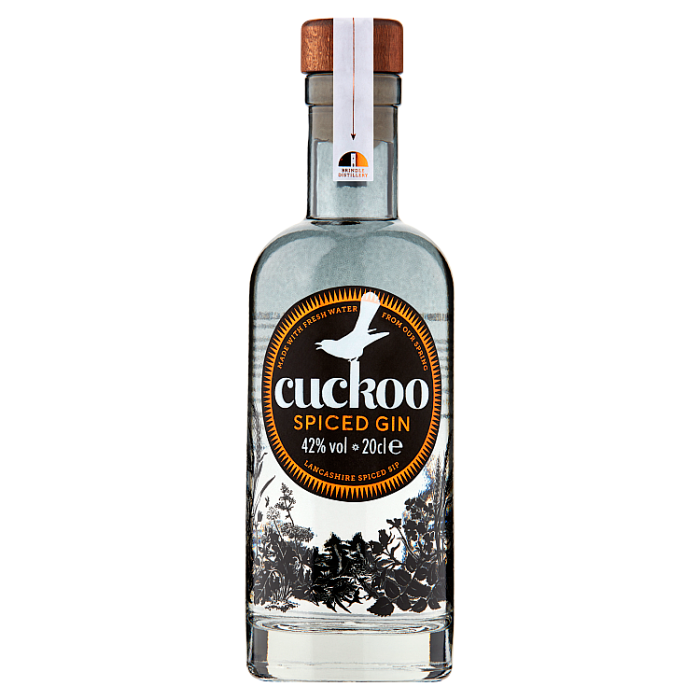 Still unmistakably Cuckoo Gin in style, but with warming aromatics on the nose and the palate as soon as you take your first taste. Our Lancashire Spiced Sip delivers instant spiced warmth to help with the cold nights! Clove, ginger, cinnamon, fennel and lemongrass are followed by spicy Tellicherry black pepper (considered the finest pepper in the world) then mellowed with hints of jasmine, fig, rosehips and the unmistakable scent of tonka beans. Perfectly serve a 50ml measure with 150ml indian tonic water, rosemary and black pepper. Or, 150ml ginger beer, a sliver of fresh ginger and orange. Always use lots of ice! Stoke the fire, put your feet up, get cosy and enjoy.